Sheila Heti recorded two episodes of a podcast with her brother, the stand-up comic David Heti, in early 2015 in Montreal. The second episode features the novelist Lee Henderson as a guest. You can subscribe on iTunes and other podcast apps, or click on the link below to listen at Podomatic. Kayla Lorette and Becky Johnson in All Our Happy Days are Stupid at Videofag in Toronto. Sheila Heti wrote the play All Our Happy Days are Stupid more than a decade ago; a process of failure and doubt that was fictionalized in her novel, How Should a Person Be? The play was mounted by director Jordan Tannahill at Toronto's Videofag in 2013, and produced by McSweeney's two years later to sold-out runs at Toronto's Harbourfront Centre, and New York's The Kitchen. With ten original songs by Dan Bejar (Destroyer). In late 2001, Sheila Heti and her friend Misha Glouberman created the barroom lecture series Trampoline Hall, where three people deliver lectures on subjects outside their areas of expertise, then take questions from the audience. The show still running monthly in Toronto, at The Garrison. 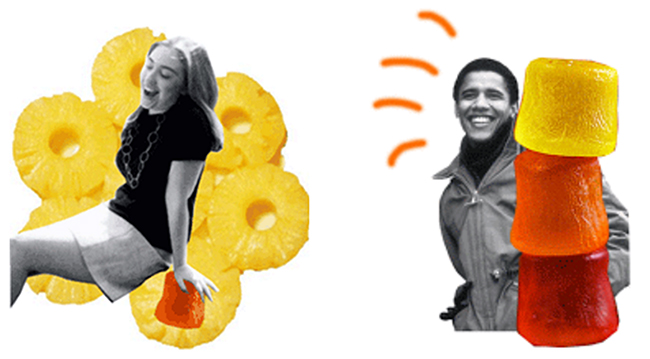 In Spring 2008, Sheila Heti created The Metaphysical Poll, a blog designed to collect the sleeping dreams people were having about Hillary Clinton and Barack Obama during the Democratic primaries (click on their names to view the blogs). The poll received hundreds of dreams from Americans, and (at least in retrospect) seemed to predict Obama's win.